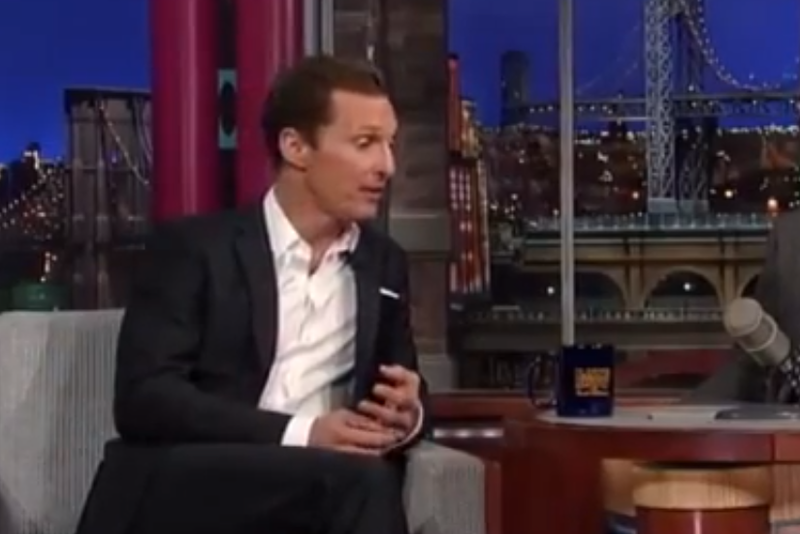 Recently Matthew McConaughey appeared on David Letterman to promote his new movie "Mud". Despite the fact that he is a very talented and accomplished actor, when he is on camera in an interview - he still feels anxiety. This is demonstrated multiple times in the video clip above. Below are just some examples. At four different times Mr. McConaughey twists his two rings. On the first two occasions these are concommittant with him discussing his children (1:11 - 1:13) or his children & his wife (2:53 - 3:03, possibly extending to 3:09). Both of these times Mr. McConaughey twists his wedding ring (left ring finger, pictured below). This is an example of a MAP surrogate (Manipulator, Adaptor, Pacifier) and is a nonverbal indicator of anxiety. In particular twisting the wedding ring displays a higher levels of anxiety compared with a ring on any other finger. A wedding ring is of course a visual metaphor for and highly congruent with wife and family. On the other two occasions where Matthew turns his ring, it involved the ring finger of his right hand - also indicative of anxiety - but at a significantly lower level. The subjects about which he was speaking were the setting of his new movie - rural Arkansas (5:50 - 5:55) and upon seeing a tape of Matt Damon perform his impression of him (McConaughey) and then throughout more verbal description and movie trailer setup (7:45 - 8:12). Mr. McConaughey's body language shows he places a higher value on, and has significant more anxiety for his family than the other subjects discussed. What other significant nonverbal tells do you see in this video? If professional actors who are used to being in front of the camera give away such information, how much of an open book are you?